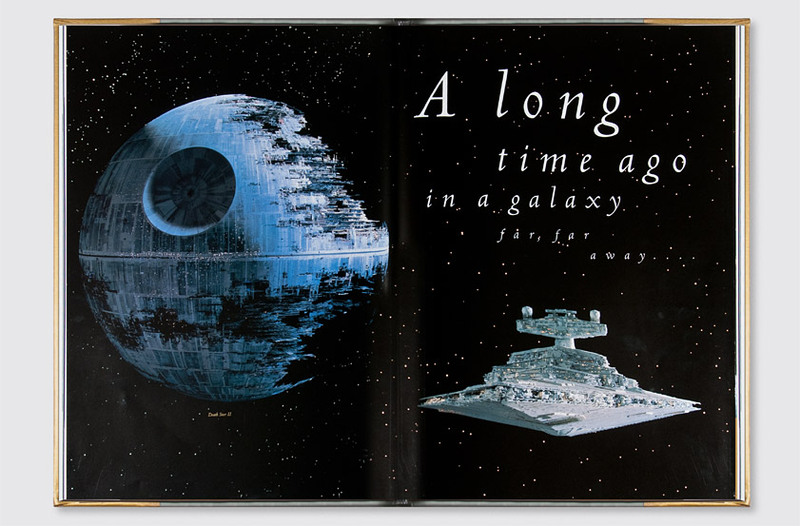 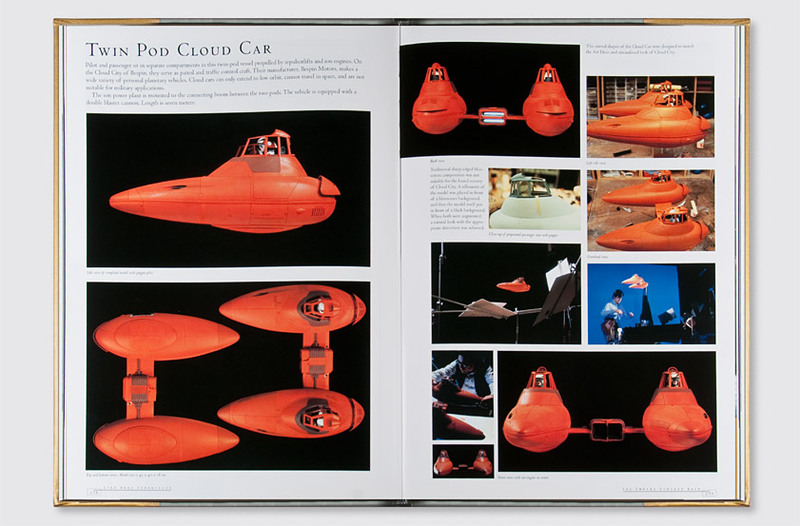 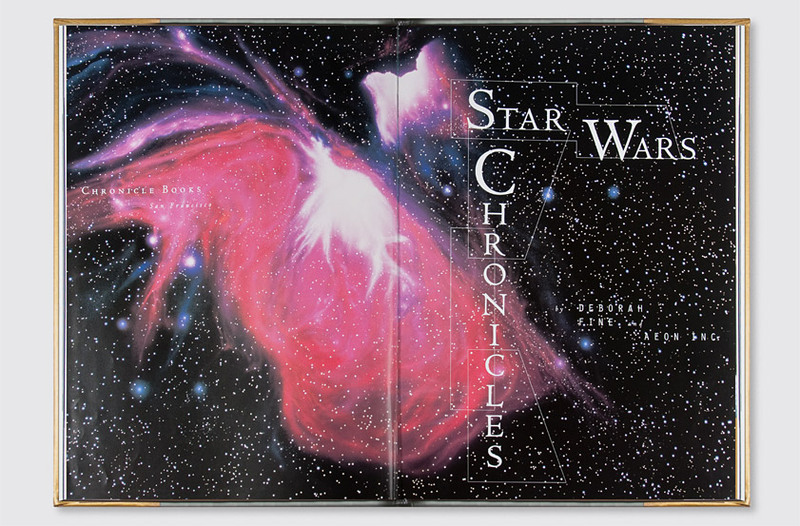 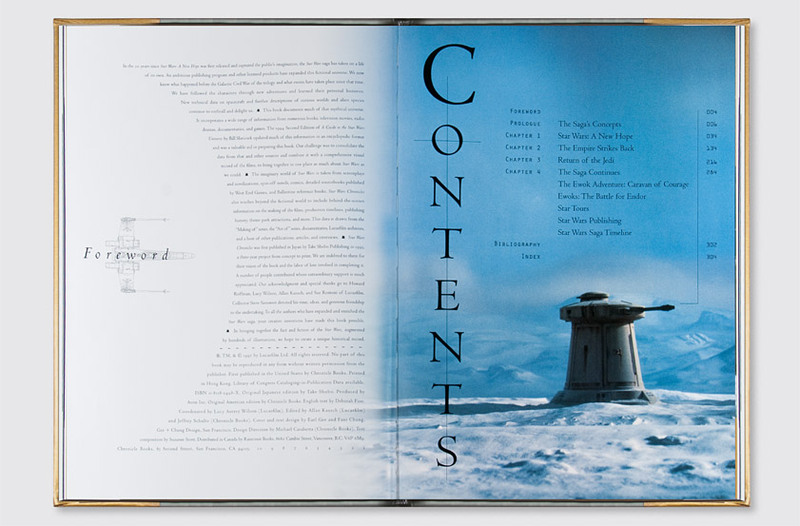 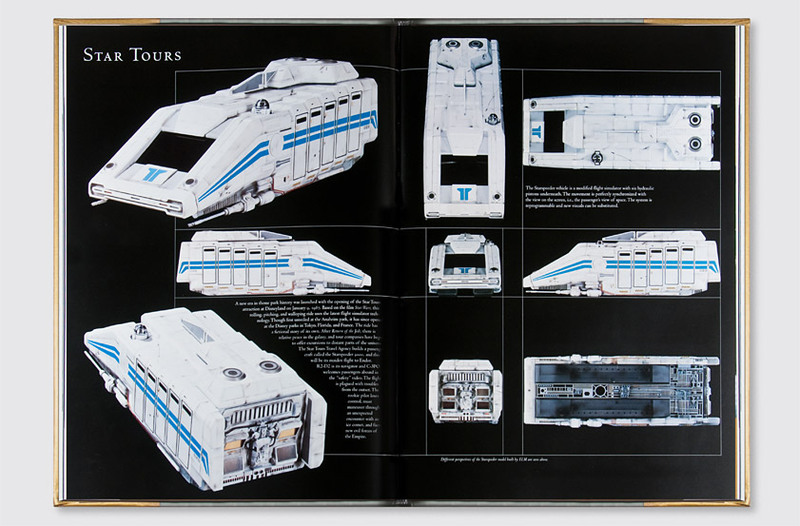 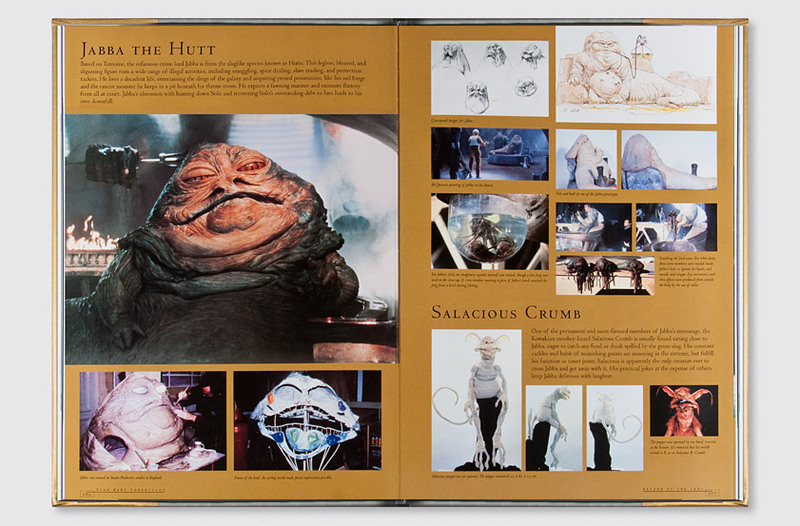 Star Wars Chronicles, published by Chronicle Books, is a 216-page “coffee table” quality collection of photographs, props, production stills, and sketches from the Lucasfilm archives for fans of the Star Wars trilogy. 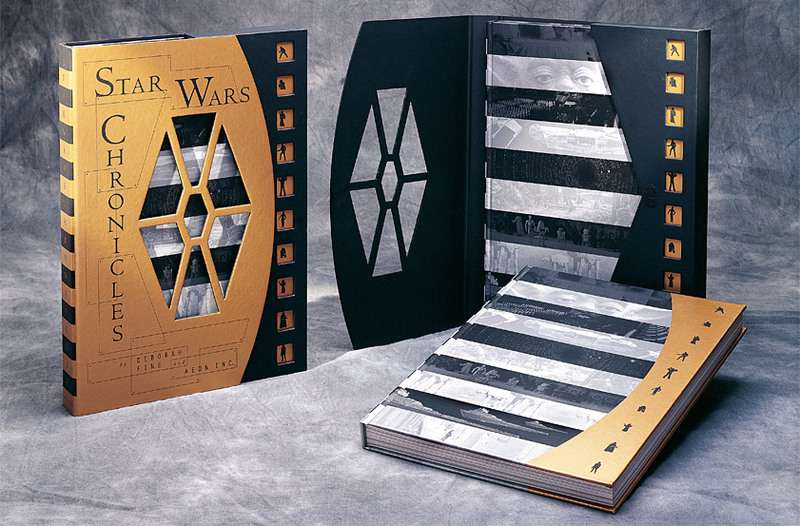 Our solution for the slipcase creates a “window” into the world of Star Wars using a die-cut shape based upon a TIE Fighter wing. 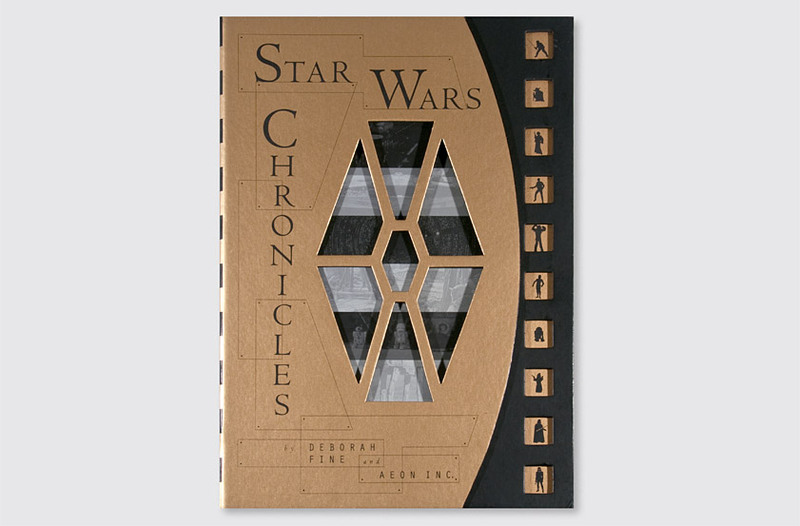 The instantly recognizable silhouettes of the characters from the trilogy are showcased through die-cut squares evoking film sprocket holes. 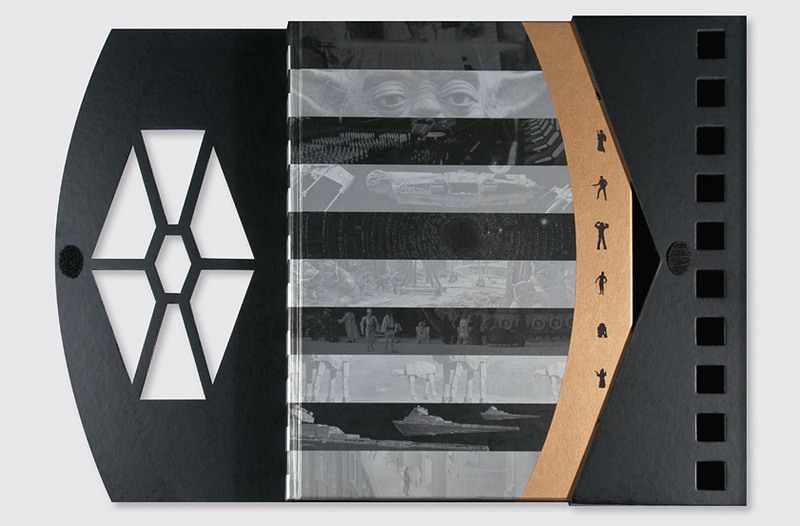 The viewer opens the slipcase to reveal the book cover’s horizontal vignettes which capture key scenes throughout the trilogy. 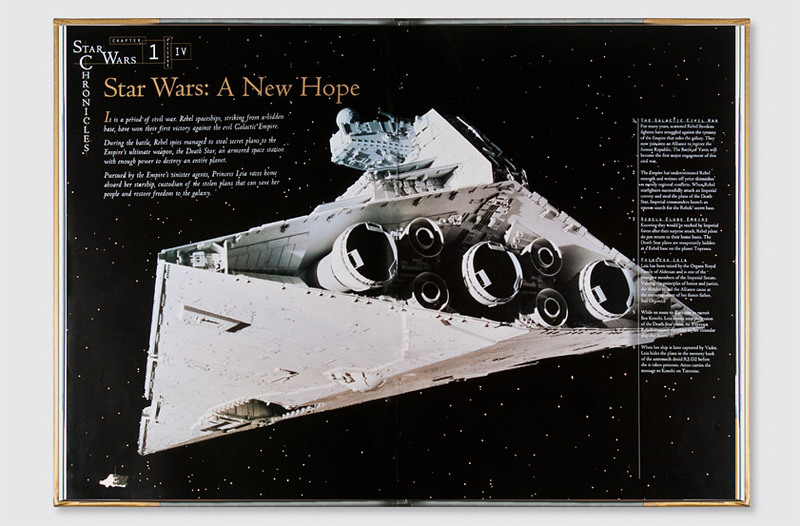 The classic typographic treatment on the cover, title, and divider pages evoke the overlapping, riveted metal plates of the Star Wars space ships and vehicles.